By clicking the continue button above, I certify I have read the CME statements below. Based solely on clinical evaluation, the diagnosis of migraine can be challenging for clinicians. Its management typically requires lifestyle and trigger management, along with acute, preventive, or combination treatments. Recent migraine research has focused on the role of calcitonin gene-related peptide (CGRP), which is released in significant amounts during an acute attack and is chronically elevated in patients with chronic migraine. The development of novel medications targeting the CGRP pathway could offer an effective option for patients with acute and chronic migraine. Primary care providers, including residents and fellows, will play an increasingly important role in identifying patients with migraine headache and ensuring they are properly diagnosed and appropriately treated. This CME activity will provide these clinicians with the latest evidence-based strategies and emerging therapies for migraine management. This activity is intended for residents and fellows, primary care providers, and allied healthcare providers who treat patients at risk for or who have migraine. This activity has been planned and implemented in accordance with the accreditation requirements and policies of the Accreditation Council for Continuing Medical Education (ACCME) through the joint providership of the Potomac Center for Medical Education and Rockpointe. The Potomac Center for Medical Education is accredited by the ACCME to provide continuing medical education for physicians. The Potomac Center for Medical Education designates this enduring material for a maximum of 1.00 AMA PRA Category 1 Credit™. Physicians should only claim credit commensurate with the extent of their participation in the activity. For questions regarding CME credit, the post-test, or evaluation, please email contact@potomacme.org. 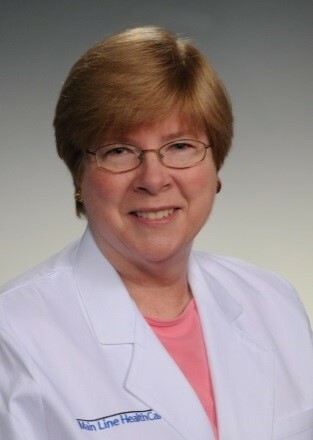 M. Susan Burke, MD, FACP is a Clinical Associate Professor of Medicine at the Sidney Kimmel Medical College at Thomas Jefferson University in Philadelphia, PA; an Adjunct Associate Professor of Geriatrics at the Philadelphia College of Osteopathic Medicine; and Senior Advisor of Lankenau Medical Associates at the Lankenau Medical Center in Wynnewood, PA, where she has been a clinician and teaching attending for more than 30 years. Having earned her medical degree from the University of Pennsylvania Perelman School of Medicine, she completed a residency in internal medicine at Lankenau Hospital (now the Lankenau Medical Center). Dr. Burke is board-certified in internal medicine and geriatrics and is a Fellow of the American College of Physicians. A 2-time recipient of the Osler-Blockley Award for Excellence in Clinical Teaching from Thomas Jefferson University, Dr. Burke also has received the residents' award for best teacher from the Lankenau Internal Medicine house staff. She has been named Best Doctor for Women and, more recently, a Top Doctor by Main Line Today magazine. Dr. Burke lectures nationally and has published chapters and articles on numerous primary care and geriatric topics on CME websites and in publications such as the Journal of the American Osteopathic Association and Annals of Long-Term Care. Jack Schim, MD practices at the Neurology Center in Carlsbad, CA and serves as Co-Director of the Headache Center of Southern California and as an Assistant Clinical Professor of Neuroscience, Voluntary, at UC San Diego. He has special interests in headache management, stroke prevention, acute stroke intervention, neuropathic pain treatment, and neurologic rehabilitation. Dr. Schim is board-certified in neurology and has certification in headache medicine from the United Council of Neurologic Subspecialties. Dr. Schim also serves as Medical Director of the Stroke Program at Tri-City Medical Center, Immediate Past President of the Headache Cooperative of the Pacific, Chairperson and Director of the California Chapter of the Alliance for Patient Access (AfPA), and as a Board Member and Past President of the American Heart Association. He has been involved in acute stroke care and prevention since 1990 and has been a leading headache clinician since 1992. He has helped build a very active, clinically based headache program with outpatient focus, which has helped set the standards of headache care. He has been involved on an ongoing basis with access-to-care issues as part of patient advocacy. He has been a clinical investigator in multiple clinical trials involving headache, pain, movement disorders, stroke and spasticity, among other topics. He has been an investigator and assisted in the development of novel migraine therapeutics, including multiple trials of CGRP blockade for migraine. When not seeing patients, he enjoys surfing, photography, and travel. Christopher Damiano, DO, MPH grew up in Lititz, PA and attended college at Bucknell University, where he received a bachelor of science in biology. 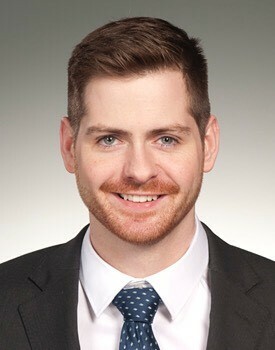 He earned his Masters of Public Health degree with a focus in epidemiology from the University of Pittsburgh Graduate School of Public Health in 2012. He graduated from the Philadelphia College of Osteopathic Medicine in 2016 and is currently a third-year internal medicine resident at Lankenau Medical Center in Wynnewood, PA.
Matthew Delmonico, DO grew up in Flemington, NJ. He attended college at the University of Delaware where he received a bachelor of science in medical technology. 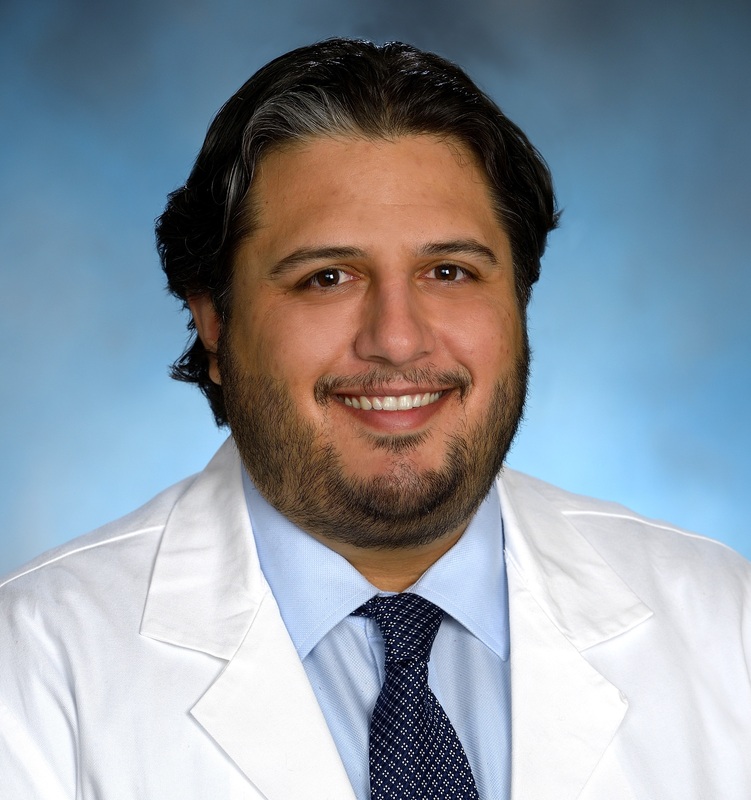 He graduated from the Philadelphia College of Osteopathic Medicine in 2015 and completed his internal medicine residency at Lankenau Medical Center in Wynnewood, PA. Currently, Matt serves as Chief Resident of the Internal Medicine Program at Lankenau Medical Center. Potomac Center for Medical Education (PCME) adheres to the policies and guidelines, including the Standards for Commercial Support, set forth to providers by the Accreditation Council for Continuing Medical Education (ACCME) and all other professional organizations, as applicable, stating those activities where continuing education credits are awarded must be balanced, independent, objective, and scientifically rigorous. All persons in a position to control content of a continuing medical education program provided by the Potomac Center for Medical Education are required to disclose any relevant financial relationships with any commercial interest to PCME as well as to learners. All conflicts of interest are identified and resolved by PCME in accordance with the Standards of Commercial Support in advance of delivery of the activity to learners. The content of this activity was vetted by an external reviewer to assure objectivity and that the activity is free of commercial bias. Kathy Merlo; Chad Williamson, MS, MBA, CMPP; Blair St. Amand; Lindsay Scott, PT, DPT, ATC: Nothing to disclose. The contents of some CME/CE activities may contain discussions of non-approved or off-label uses of some agents mentioned. Please consult the prescribing information for full disclosure of approved uses. In order to view this presentation, your computer must have audio capabilities (working speakers or headphones) and must have an internet browser capable of playing an HTML5 video. There is no fee for this activity. To receive credit, participants must take the pre-test, view this CME activity in its entirety, and then complete the post-test, with a score of 80% or better, and evaluation. The estimated time for completion of this activity is 1 hour. To receive their certificates, participants must demonstrate mastery of the presented material via the post-test. Participant is allowed to take the post-test multiple times. This activity is supported by an educational grant from Lilly. For further information concerning Lilly grant funding, please visit www.lillygrantoffice.com.